And for this penultimate Leg, teams will be flying to Hong Kong. All teams are on the same flight. 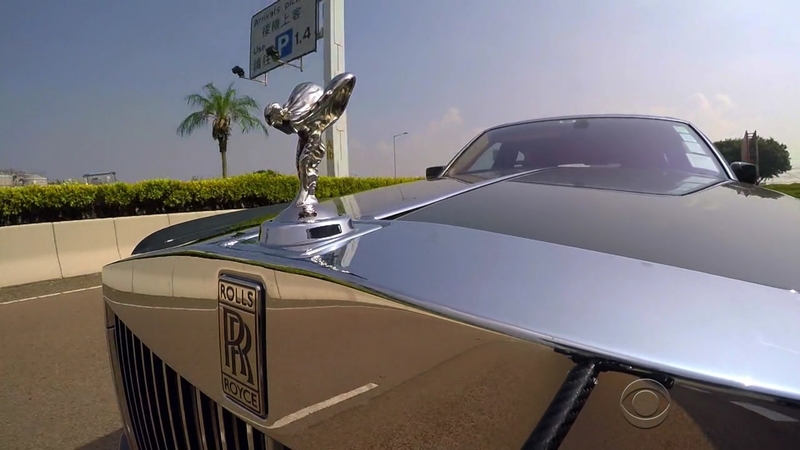 Once in Hong Kong, teams will be driven by a Rolls Royce from The Peninsula hotel. Tiffany & Krista and Kelsey & Joey hop into the fancy cars first. The clue at The Peninsula reveals the Detour: Sam’s or Cells. In Sam’s, teams must head to Sam’s Tailors and pick up some measurements for a suit. They must then head to a workshop where they will cut out six pieces of fabric for the suit jacket. They must then deliver a finished suit back to Sam’s Tailors to receive their next clue. 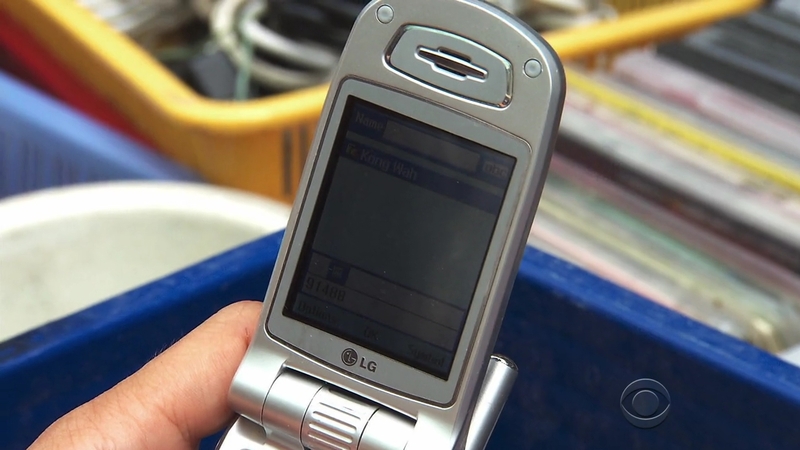 In Cells, teams must head to a crowded market and look through hundreds of used cell phones for one that works. They must then call the number in the cell to receive the location of their next clue, Kong Wah Telecom Ltd.
Tiffany & Krista, Kelsey & Joey and Chris & Logan choose Sam’s while Justin & Diana choose Cells. Tiffany & Krista have experience making costumes, but they are having trouble figuring out the measurements and how to put the suit together. But Kelsey & Joey know all they have to do is cut out the pieces. Tiffany & Krista figure it out as Chris & Logan arrive. Justin & Diana find the correct cell phone and the address to deliver it to. They hop into a taxi and give the driver the address. But the cameraman shows that they were already on Kweilin Street. Kelsey & Joey ask for a check, but they’ve cut the pieces out of the wrong sides of the fabric. They just needed to fold the fabric and get the two same pieces. This is what Chris wanted to do earlier, but Logan had shut him down. Tiffany & Krista, however, did exactly this and are out of the Detour first. Teams must now take the TurboJet to Macau and make their way to the House of Dancing Water at the City of Dreams Macau resort. Kelsey & Joey are next to finish with Chris & Logan last at the Sam’s side. Meanwhile, Justin & Diana are still in their taxi. Their driver tells them maybe 45 minutes to the location. They start to worry. He finally goes to a hotel to ask for directions and it turns out the location was just two blocks from where they originally were. Justin is very frustrated and takes it out on the driver. Diana says he shouldn’t be rude to him even if he doesn’t understand English. It’s a tense situation. They finally arrive at Kong Wah Telecom and deliver the phone. 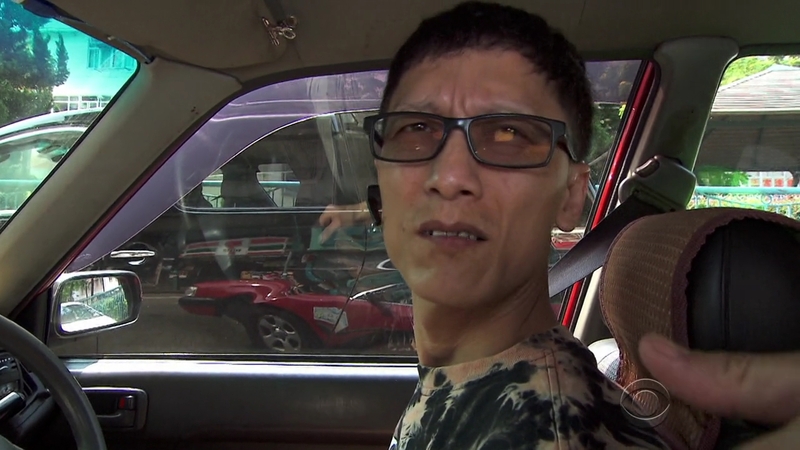 They ask a local how to get to the ferry and the guy tells them there are two terminals, one in Hong Kong and one in Kowloon. But teams need to board the ferry at the terminal on Hong Kong Island. And that’s where Tiffany & Krista, Chris & Logan and Kelsey & Joey have boarded, by buying Premier Grand Class tickets. They wonder where Justin & Diana are. Chris & Logan and Kelsey & Joey think they’ve probably already checked in, but Krista doesn’t think so. Justin & Diana arrive at the Kowloon terminal and want to buy the Premier Grand Class tickets. But the agent says those are only available on the Hong Kong side of the harbor. Okay, whatever. They decide to just get on the ferry which is actually the first from Kowloon today. They think they’ve regained the lead. All teams arrive in Macau, but the first three teams get to the City of Dreams where they find the Road Block: Who wants to rise to the occasion? 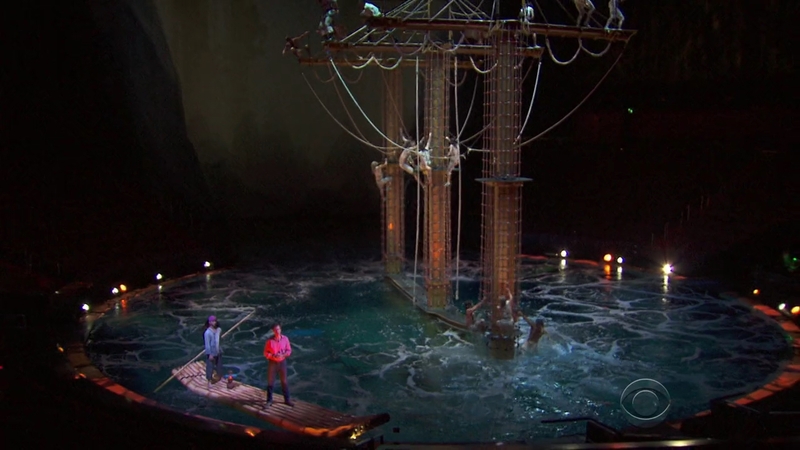 For this Road Block, teams will join the House of Dancing Water show by jumping 30 feet into the water where they will need to find a golden fish. They will exchange the fish at the fisherman’s raft for their next clue. 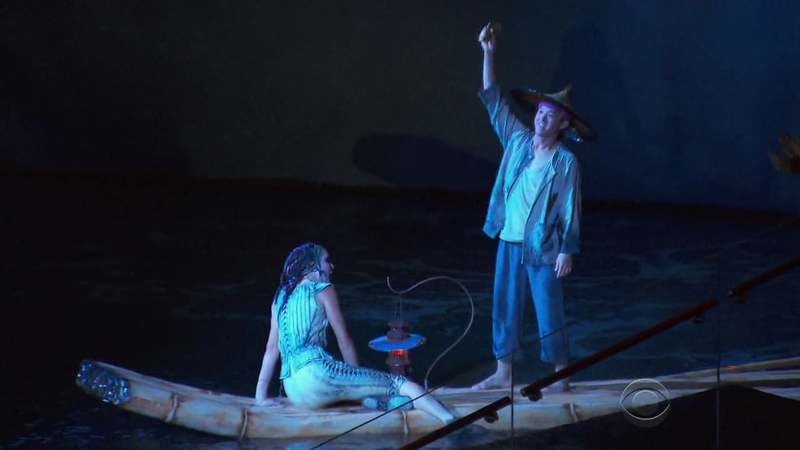 If the music ends before the reach the raft, they must wait for the next performance. Kelsey, Krista and Logan do the Road Block. They get made up and dressed up and head into the water as their partners excitedly applaud them. The show begins just as Justin & Diana arrive at the resort. But they have to walk all the around to get to the theatre. 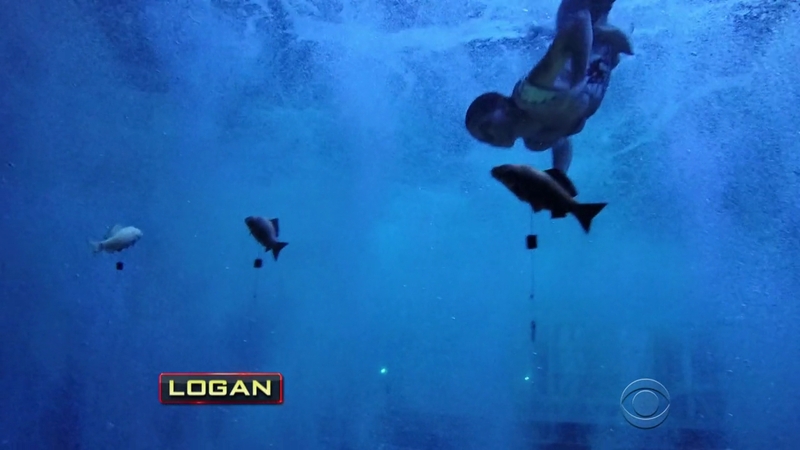 Logan manages to find the fish first and deliver it to the fisherman. Kelsey is next. But Krista does not find the fish and the music ends. Justin & Diana arrive and Diana decides to do the Road Block. Chris & Logan and Kelsey & Joey can now head to the Pit Stop, Nam Van Lake. Logan is on her way down and Diana asks her how it is, but Logan just says “You’ll find out.” Awks! Tiffany tells Justin about the task and he regrets not doing it since the water is his strength. Krista is ready to go when the show is about to begin. Justin waits for Diana to come out, but the show starts with Diana nowhere to be seen. Diana has finally finished getting dressed, but the director says she has to wait 20 minutes for the show to end. Both Justin and Diana now realize the dire situation they are in. Krista knows what she has to do now, but still has trouble finding the fish. 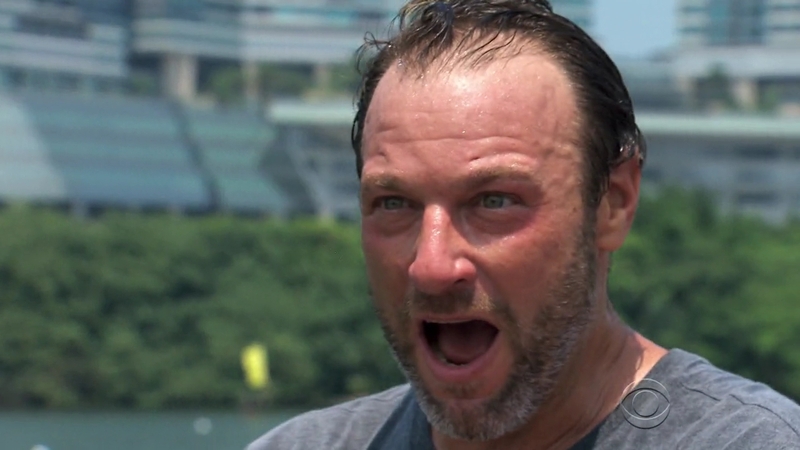 An emotional Justin says he’d gladly give back all the wins for them to finish 3rd at this task. Krista struggles with seeing in the water even though she’s just so close to the fish. But now the music ends and Krista has failed her second attempt. Justin is emotional, knowing he and Diana have a chance now. It’s time for the next show and Krista and Diana hop into the water. Justin and Tiffany are on the edge of their seats. They stand. And it is Diana who comes out of the water with the fish. The music stops and Krista does not have one. Justin & Diana head to the Pit Stop. And at the Pit Stop, it is a footrace. And the team that comes out on top is Chris & Logan. Phil officially checks them in first and they win a trip to Peru. Kelsey & Joey finish 2nd for the fifth Leg in a row. Justin & Diana are in the taxi as Krista begins her 4th attempt at the Road Block. She is frustrated, but Tiffany tries to cheer her on. The cheers don’t work. She fails gain. Krista doesn’t want to do it anymore. But Tiffany comes down and tells her how much she looks up to her. Krista was always the one encouraging her and now she’s returning the favor. Tiffany tells Krista to think of her family. 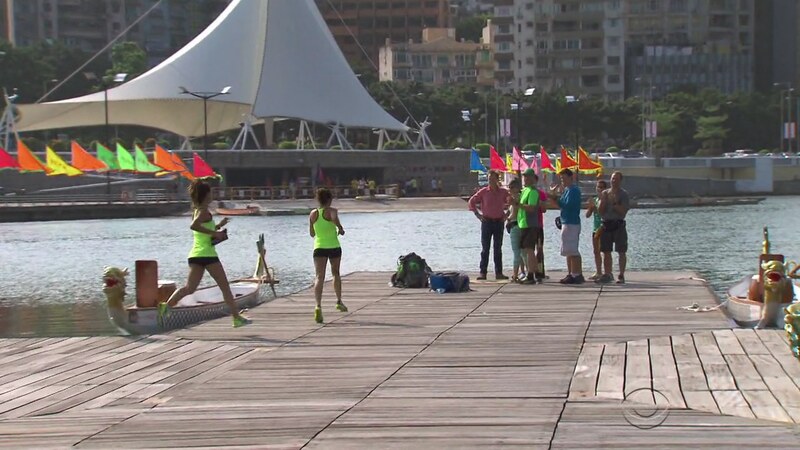 Back at Nam Van Lake, Justin & Diana are running to the Mat, much to Chris & Logan and Kelsey & Joey’s annoyance. Justin kisses Diana when Phil says they are the third team to arrive. And that’s when Phil drops the bomb. 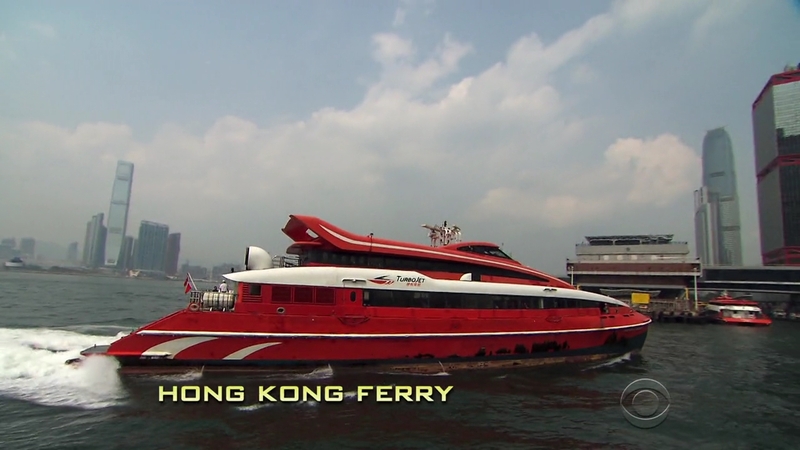 Because they took the Kowloon Ferry instead of the Hong Kong Ferry, they have incurred a 30-minute penalty. But they have also incurred an additional 25 minute penalty for the time advantage they gained from the closer Kowloon terminal. Justin & Diana now need to wait a total 55 minute penalty. Justin collapses to the ground before he and Diana head off to the side. Chris & Logan and Kelsey & Joey are rooting for Tiffany & Krista. Krista is feeling better now as she begins her 5th attempt. And she finally gets it. 40 minutes left. 35 minute left in Justin & Diana’s penalty. Phil is still talking to the two teams on the Mat. Tiffany & Krista are in a taxi and haven’t given up hope yet. But their driver lets them get off at some other location. They’re in a new taxi and are not as hopeful as they just were. But Phil calls Justin & Diana over and officially checks them in as Team #3. That means Tiffany & Krista are last and eliminated. Well damn! This was a rollercoaster of an episode. It was definitely one of the most exciting penultimate Legs ever. BUT! Again! 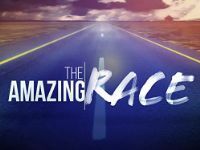 This episode was exciting because of the teams and not because the Leg or tasks were particularly exciting. The tasks were okay though. The Detour was fine and the Road Block was fancy. City of Dreams eh? That’s definitely a fancy location. But TAR probably got big discounts on using the locations and Rolls Royces this Leg. I suppose that specific Route Info about which ferry to take was done in the hopes someone would epicly screw up though. But really this episode was made by the teams themselves. This was a big climactic episode that I think the finale will not be able to top. 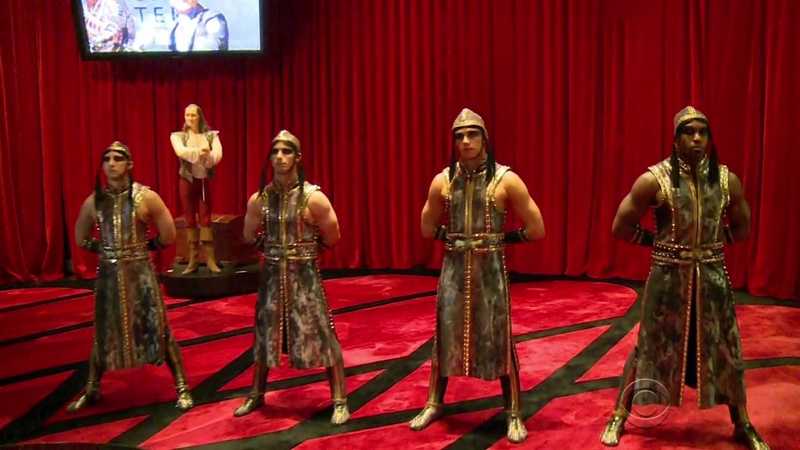 Each of the teams had a storyline going into this episode. There was Justin & Diana’s streak and their dominant performance almost come crashing down. There was Tiffany & Krista’s underdog story. There was Chris & Logan’s dysfunction turning into a win. And there was Joey & Kelsey’s own bridesmaid streak and being Justin & Diana’s main rivals. All that contributed to the drama and excitement this episode. And that’s been the story all season. Something I’ll definitely talk about in the season wrap-up and something I’ve pointed out several times has been how the teams, surprisingly, have been the main reason this season has actually been relatively successful. Back to this episode though. I honestly thought Justin & Diana were done. I was honestly expecting Tiffany & Krista would just make it to the Mat before the penalty was over. Sure, the preview and commercials were explicitly spoiling the penalty and the possibility of Justin & Diana going home. But I guess I was just really rooting for the opposite of what happened. If there wasn’t enough confirmation before, there’s certainly some now. TAR has lost its Ford sponsorship. That is very sad. Fitbit has been a nice addition, but Ford had to have been TAR’s biggest sponsor. Providing two cars as prizes plus providing cars on the self-driving Legs were huge help to the show. 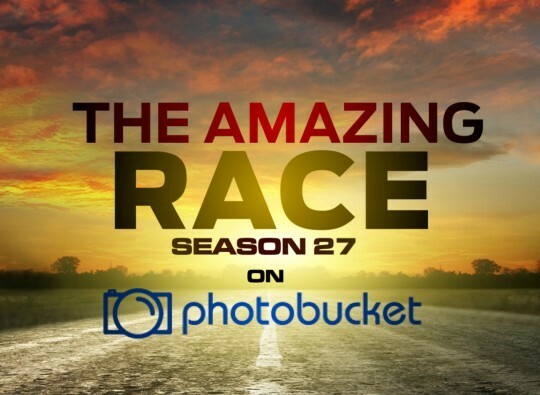 Hopefully TAR has signed up a new car sponsor for TAR28 and future seasons (if there are future seasons at all). And hey! Another crew sighting! But overall, this has to be one of, if not the most exciting penultimate episode ever. Definitely happy to see Logan & Chris win the Leg. They’ve had a Brendon & Rachel-type of dysfunction/solid Racing throughout the Race. So in the Final Leg, they could either overcome their bickering and win or collapse in their biggest meltdown yet. I hope it’s the former. And finally Justin & Diana. You know, if the result were different and they were eliminated, I’d actually really feel for them and feel sorry. But since they actually made it though, then… UGH! WHY!!! I’m definitely hoping anyone BUT them wins next week. 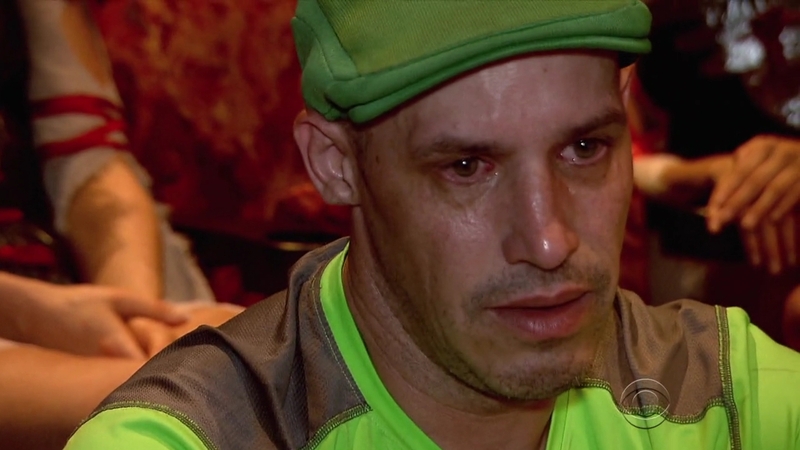 Justin was still cocky at the beginning of the Leg and the crying, while hilarious, also felt hollow since they’ve brought all this bad karma on themselves. 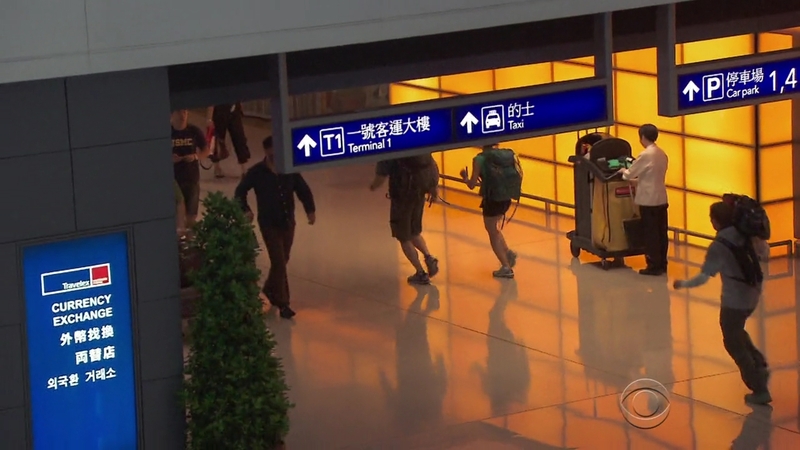 ← Recap: Shuriken Sentai Ninninger, Episode 39 – Kibaoni's Son Mangetsu Appears! How’s your all-time teams? Does it have changes?